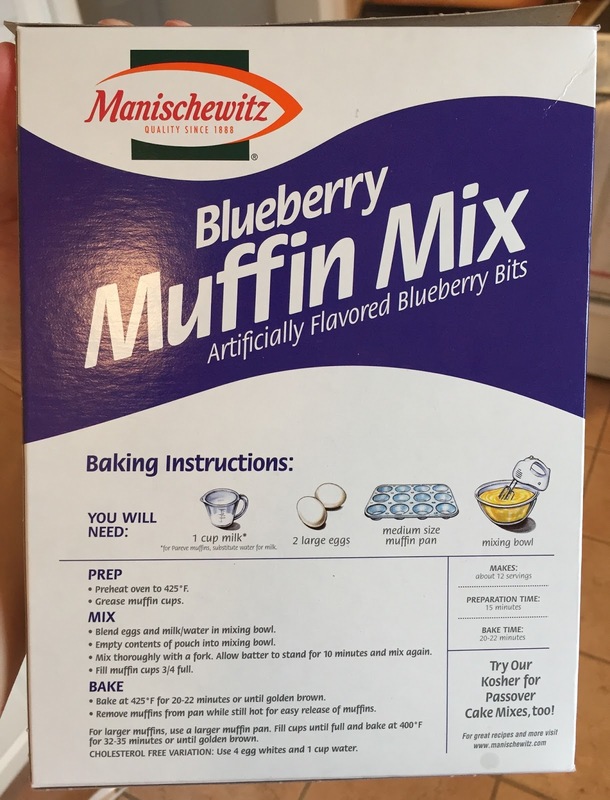 This is a box of Blueberry Muffin Mix manufactured by Manischewitz, and it's a U certified Kosher for Passover and also year round. 1. Preheat the oven to 425 degrees in Fahrenheit (218 in Celsius). 2. Grease muffin tins <--- I used paper muffin cups and skipped this process. 3. Mix 2 large eggs and 1 cup of water in a bowl. * The instructions say "milk" but I substituted with water. 4. Add the whole bag of mix and stir. 5. Let it sit for 10 minutes. 6. 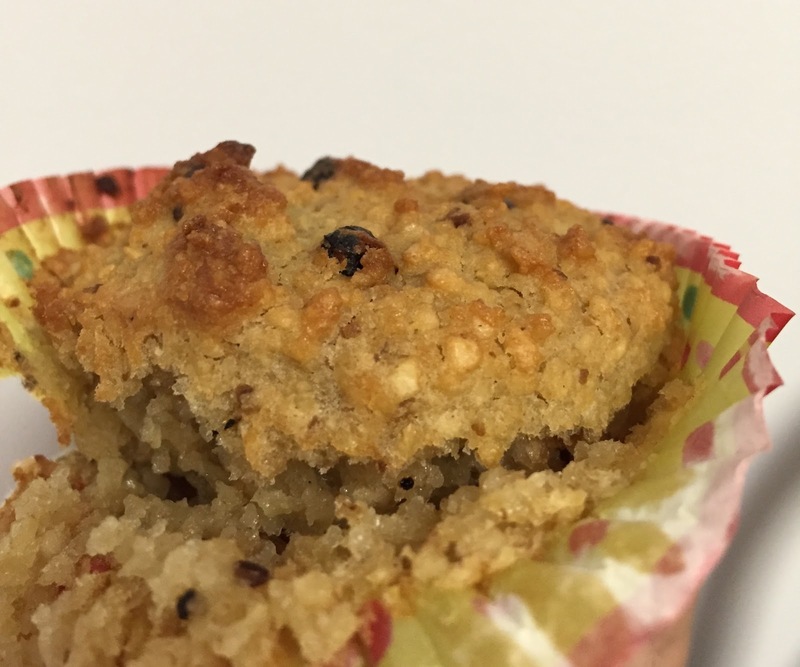 Mix it again and pour into muffin tins. 7. Bake for 20-22 minutes or until golden brown. 8. 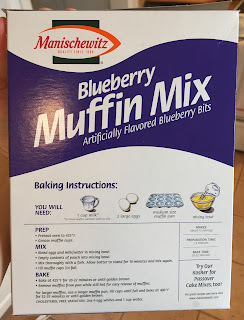 Remove muffins while hot for easy release of muffins. 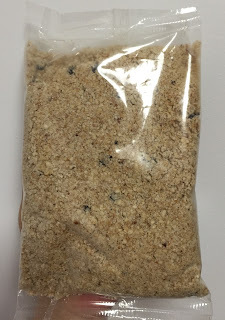 A bag of muffin mix. Emptied the whole bag into the bowl. Mixed them well, but it's really watery. 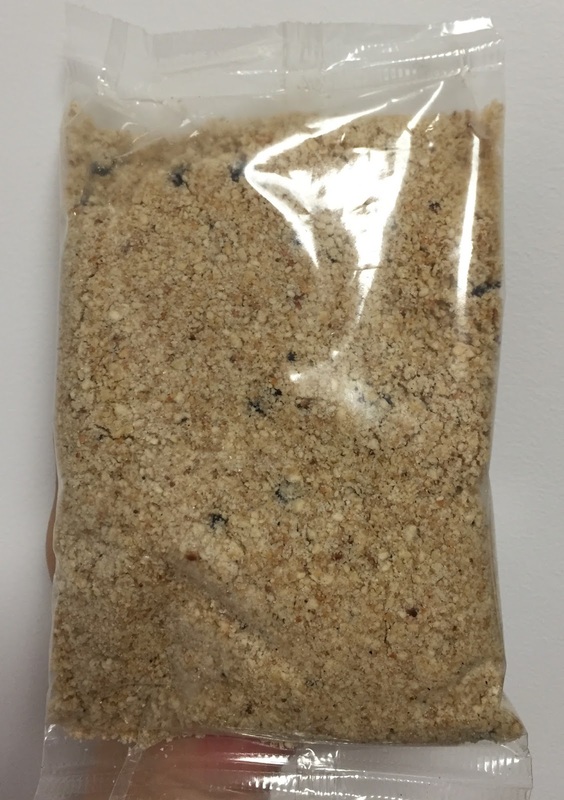 After 10 minutes, it became thicker like oatmeal as the liquid was absorbed. I used an ice cream scooper to pour the mixture into cups easily. It helps me pour even amount into cups, though I poured too much for the first a couple of cups. As usual, I set the minimum required time, which is 20 minutes. All the muffins were lightly brown and I took them out. I moved all the muffins as directed. There're artificially flavored blueberry bits, not real. The top was lightly crispy and fragrant, and the inside was moist and soft. It's lightly sweetened without any weird fruity scent, and I didn't even notice any characteristic matzo flavor, either. I wondered if they're undercooked while liking the combination of the textures, my husband said most of the time, Passover food turn out like this. Besides all the ingredients should have been cooked through (20 minutes on 425F degrees). 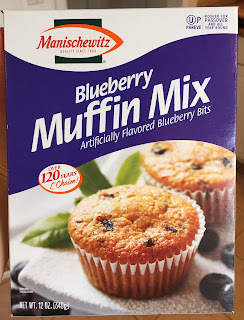 In fact, I had already put the muffin tin into the sink and I didn't feel like rinsing the pan, placing the muffins back and baking, thus I didn't re-bake them. Other Passover items I've reviewed. 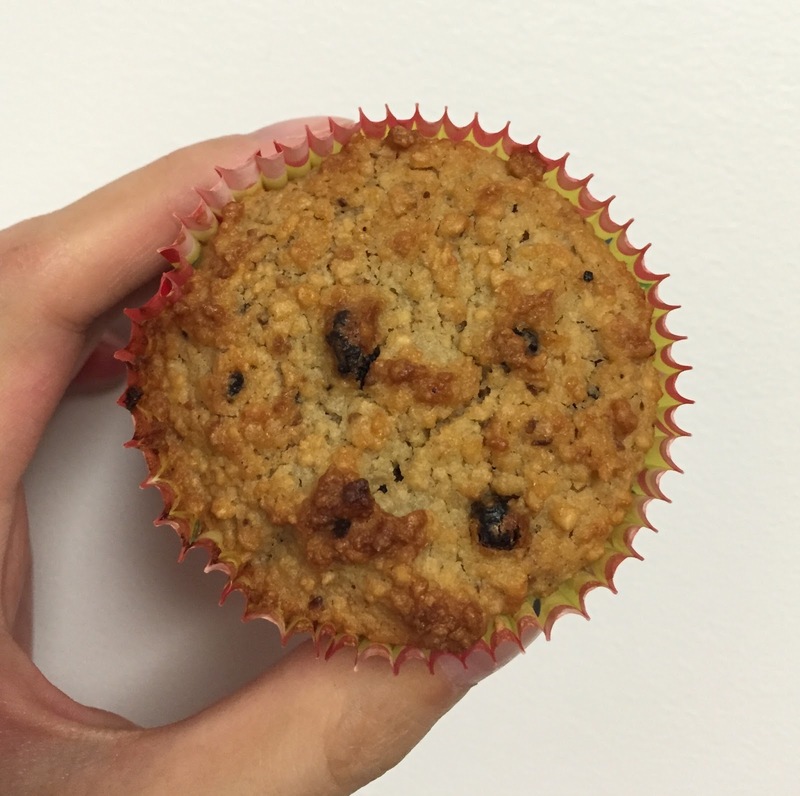 I've reviewed the following cupcakes and muffins.